User acquisition and retention rates are arguably the most important product metrics to track and optimise. They represent the initial steps of the user journey and set the foundation for all other interactions between the user and the product. Getting those two steps right can set your digital health app for a long-term success. 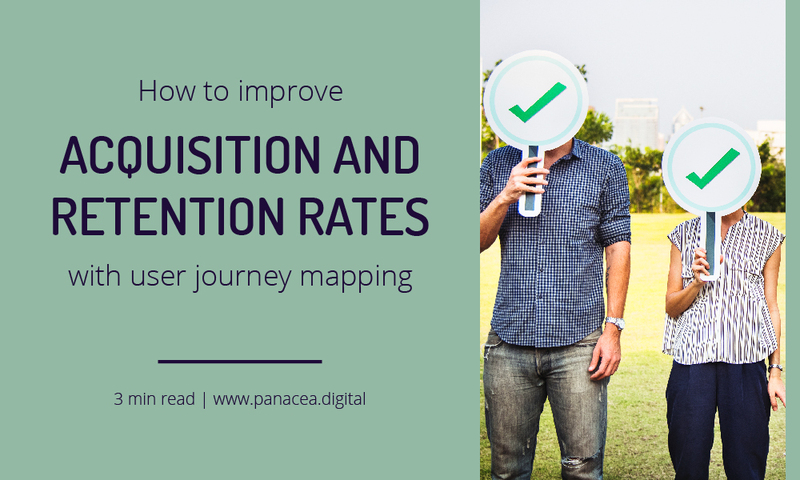 Read this article to find out how one of the most popular UX design methods – user journey mapping – can help you evaluate and optimise your acquisition and retention strategies. To understand how user journey mapping affects acquisition and retention rates, let’s first define common problems that prevent health apps founders from getting to the bottom of the problem. Too often acquisition and onboarding (which is the most important factor affecting retention rate) are considered separate steps in the product funnel. Marketing activities are used to drive the acquisition and the product team is responsible for onboarding. But from a user perspective, this is one logical sequence of events, most often than not done in one ‘sitting’. Creating consistent message between acquisition and onboarding touchpoints is especially tricky if marketing and design are outsourced to different suppliers. Very often this creates a disconnect and a mismatch between what the user expected to get (based on the marketing touchpoints) and what they actually got in the product (onboarding and first interaction with the product). Most startups use at least one kind of quantitative data about user behaviour (e.g. analytics or A/B testing) to inform strategic decisions. But relying 100% on only one type of data only tells you half of the story. A combination of quantitative and qualitative user insight (e.g. user testing or user interviews) is required to get the full picture of what is happening and enable you to get to the bottom of the problem. Analytics and A/B testing will tell you WHAT is happening and qualitative user testing will tell you WHY it is happening. This is a problem that no business owner is immune to. Founders and development teams are too familiar with the product to have an objective perspective to be able to effectively troubleshoot leaking product funnels. Regularly collecting and evaluating user feedback is necessary to maintain a fresh and objective perspective and make decisions that will truly push the needle on product metrics. What is the user journey mapping? User journey map is a visual representation of your product funnel from the user perspective. It describes step-by-step all the interactions between the user and your business or product. Typically, it contains elements like actions, channels, user thoughts, emotions and questions. Effective journey maps are based on real insight from analytics and user research, and they help you identify friction points along your product funnel, that might be causing people to drop-off. As mentioned before, analytics lets you see ‘what’ is happening. But without qualitative insight from user testing, you won’t be able to identify the root causes and effectively address the issues. For example, you can see in the analytics that people abandon your website without creating an account. This can be caused by a number of different issues – the value proposition doesn’t address their specific problems, your unique selling points are not clear, they have concerns about your product that aren’t addressed on the content, they can’t clearly understand how your product works etc… The analytics within your app might tell you that people aren’t using your most valuable features but they don’t tell you why – is it because they can’t find them, can’t understand them or because they’re not as valuable as you thought? 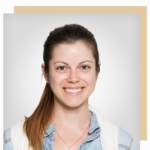 Qualitative user testing will help you identify the reasons behind the trends you see in quantitative data, which will enable you to effectively address those issues. A/B testing is a great way to make design decisions based on the real data. But A/B testing results are as good as the tested variations. By incorporating qualitative insights into your A/B testing hypothesis, you can create better and more informed variations to begin with, and get the most out of your A/B tests. Possibly the biggest benefit of journey mapping is the fact that it allows you to see your product funnel the way it is experienced by the user – as a sequence of related steps where one affects the other (as opposed to separate product metrics). Acquisition step of the journey sets the expectations that your product has to deliver on. Analysing these two steps as a whole allows you to identify the gaps in the messaging and pinpoint the frictions that stop your first-time visitors from becoming engaged users. Ideal user acquisition journey minimises the cognitive bias required from the user to ‘figure out’ your product and find all the information they need to decide whether your product is right for them. Qualitative user testing will help you identify unclear and confusing areas of your website. You will also learn about what specific information people look for when deciding whether to use your product. You can then make sure you have content addressing those questions there and then – you don’t want people to go and hunt for that information, as soon as they click away from your page or funnel, you risk losing their attention. By user testing your acquisition touchpoints you’ll also identify what’s currently working well and what is the most valuable content you should prioritise and display in prominent places on your website. It’s important to recruit people that match your actual target audience – this way you can learn about their motivations and goals for using products like yours. Using that insight, you can describe how exactly your product helps solve their frustrations and get them closer to their goals to create content that will really resonate with them. It will also help you identify the one key action you will want to emphasise once people open your app for the first time. This action is part of the onboarding process and should be directly related to the end goal they want to achieve and give them a sense of a small win. You will also learn what concerns and doubts they have about using your product. These can be related to how the product works, how much effort it will require from them to get the results or to switch from their current solution, the security of data, the cost of signing up, compatibility with other tools they use etc. They key is to learn about what are the exact concerns and doubts people have about your product and address them appropriately. And last but not least, you’ll learn what are people’s perceptions of your product, based solely on the content you put out there. This will help you identify any blind spots and gaps in your messaging that you can’t identify otherwise because of being too familiar with your own product.